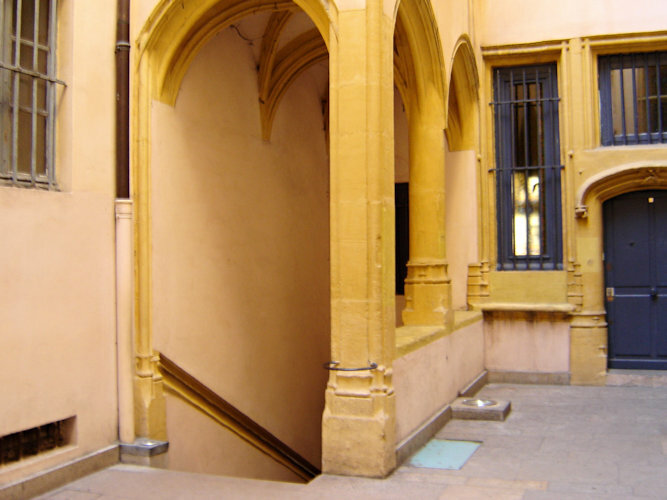 This was once the principal entry into town and described in Checkmate as such – where a pope was said to have lost his tiara. 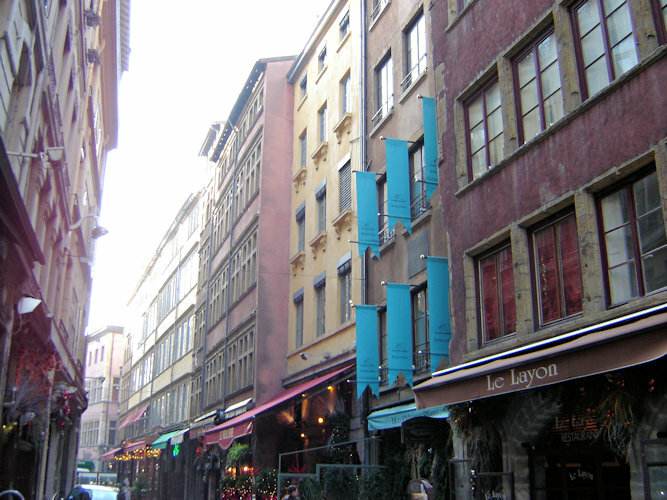 The cavalcade including Lymond came down here on its way to the Hotel de Ville across the river where Jerott and Marthe are waiting. 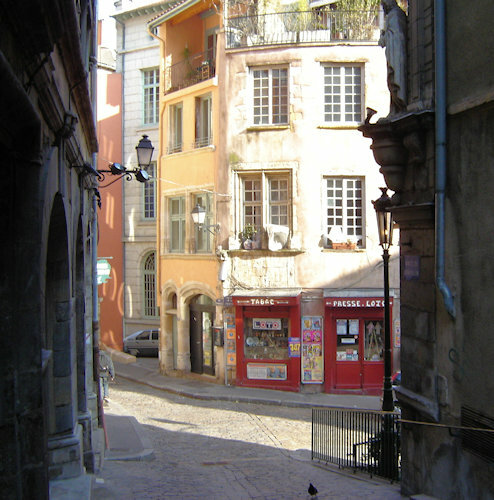 “Down to St Jean” shows where the road meets the (now) main thoroughfare. 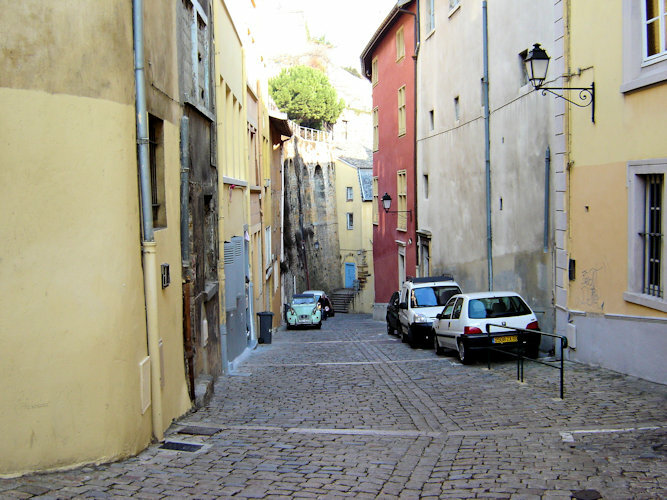 Although a lot of the town has changed, the road layout hasn’t, much. 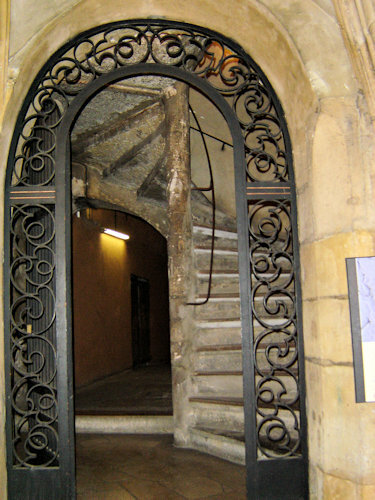 There’s a reference to climbing the rue de Garillon which now is known as the Montée de Garillan, no doubt because it’s a stairway. The hill of Fourvière is punishingly steep and if Archie and Lymond moved up it without breaking into a breathless sweat they were both substantially fitter than us! 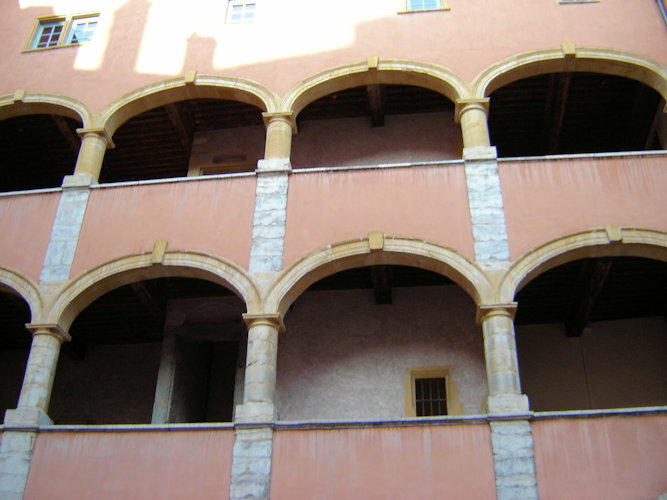 Lymond is supposed to be staying at the Maréchal de St André’s house (the Governor’s house) in an “elegant” square. 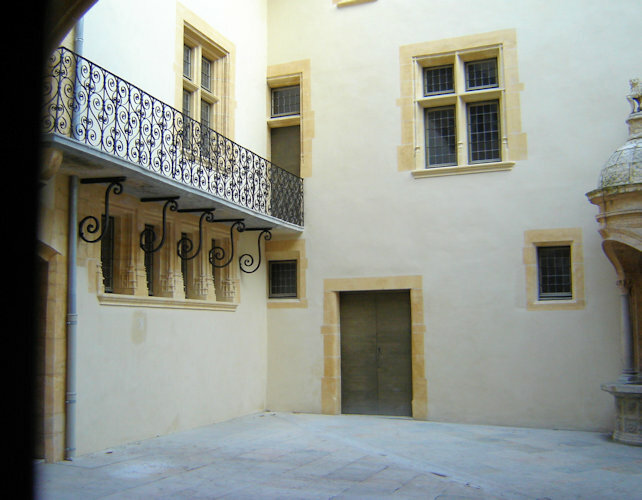 The square is known as la Place du Gouvernement, but the actual house isn’t obvious and has probably been replaced with a more recent structure. 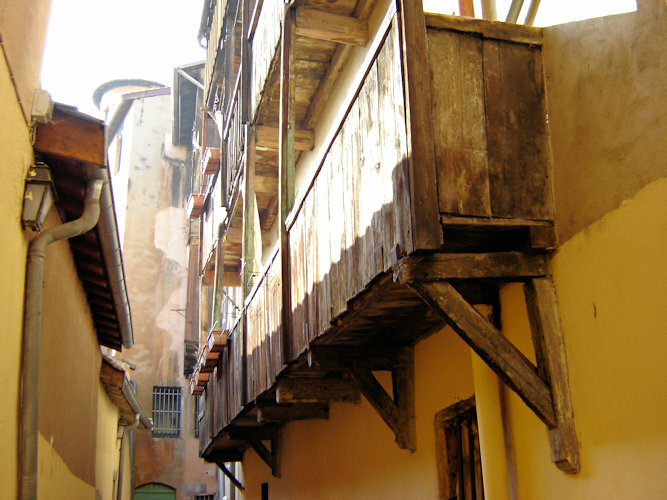 There is a neighbouring house which has a traboule which leads down to the river. 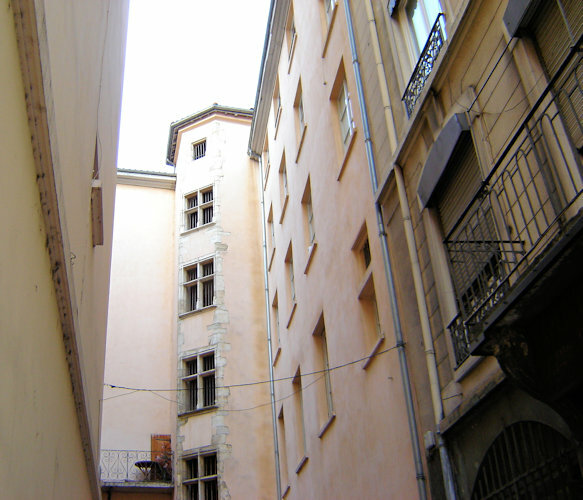 The photos labelled Traboules and Courtyard are from there. 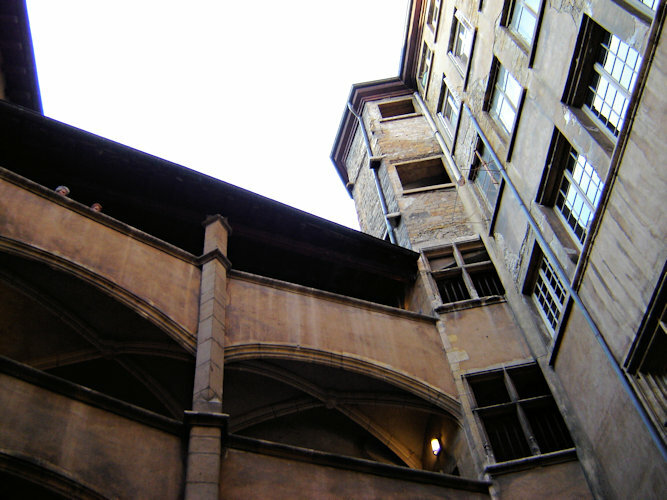 St Nizier (where Marthe was waiting) has changed quite a bit over time but was always a bit of a Lyonnais landmark. 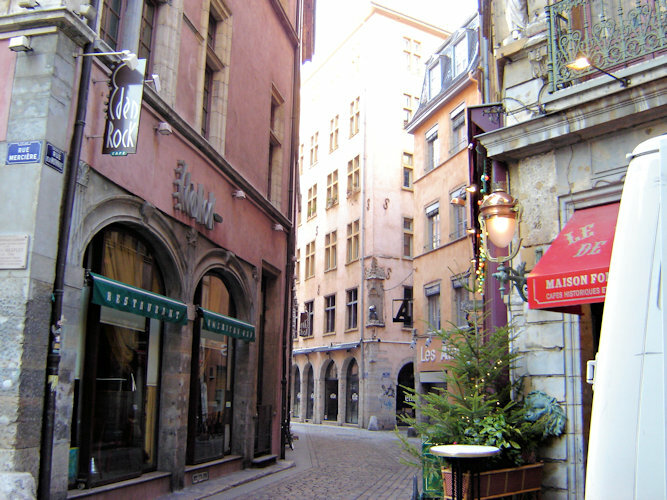 It stands in its own square near the Hotel de Ville and very near the rue Mercière. 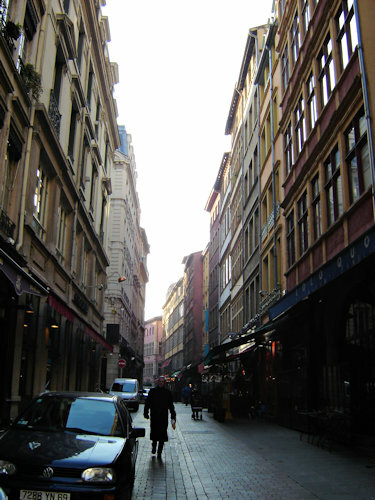 And rue Mercière is still an important mercantile street, very dark, with high buildings on either side.